Gujia Recipe is easy to make; the step by step guide with the video recipe will help you in making it more easily. 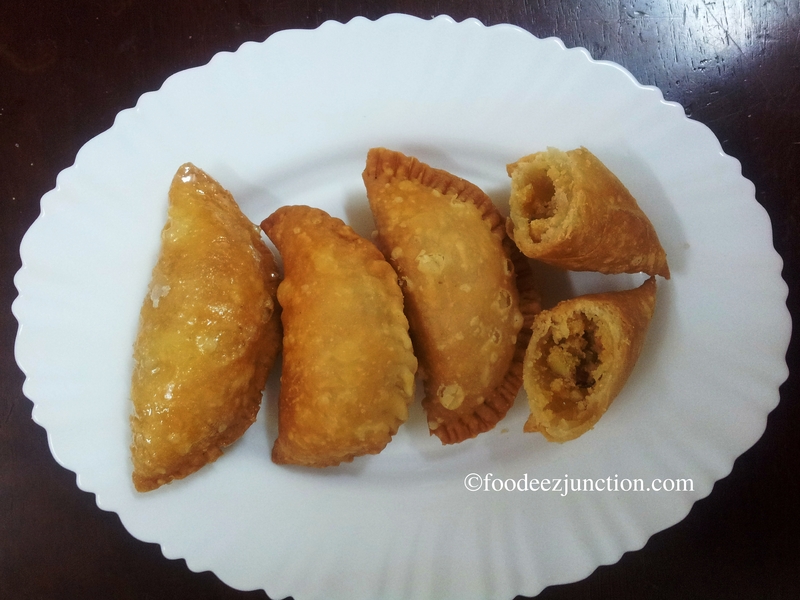 Come Holi and I go into flashback mode when I used to visit my friends and neighbourhood and would get a variety of Gujia/Gujias to munch. 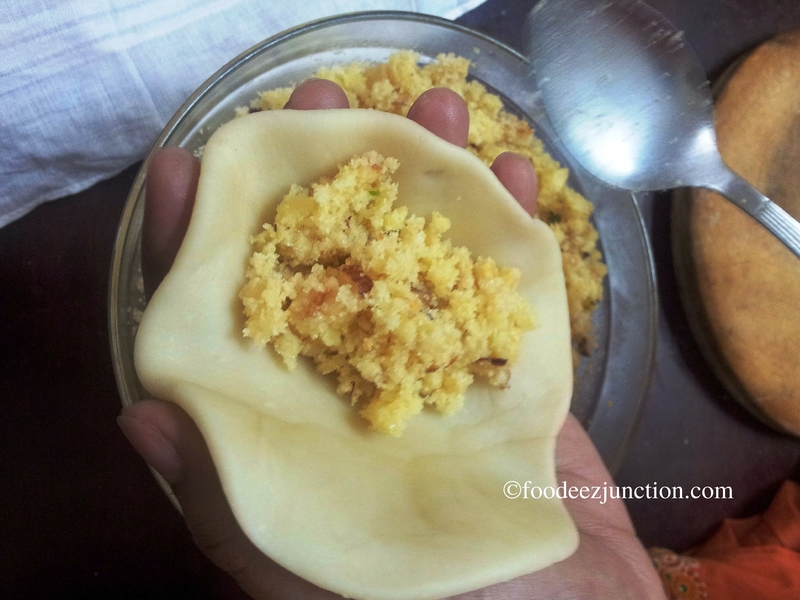 I would wait for Holi every year just to have this sweet dish, Gujia 😀 . The Holi celebration would begin with visiting one of my close friends, where I would munch on at least two Gujias. And then the Gujia trail would continue till my stomach bulged. I was and I am very fond of Gujia recipe… I cannot bring those “selfish” childhood moments back but can create one for my daughter 🙂 . So, I learned how to make Gujia at home. The sweet dessert recipe resemble much like Chandrakala Gujia. The Kasaar or the filling is same and the dough kneading process is same. Unlike Chandrakala, the Gujias are not dipped in chashni or the sugar syrup. 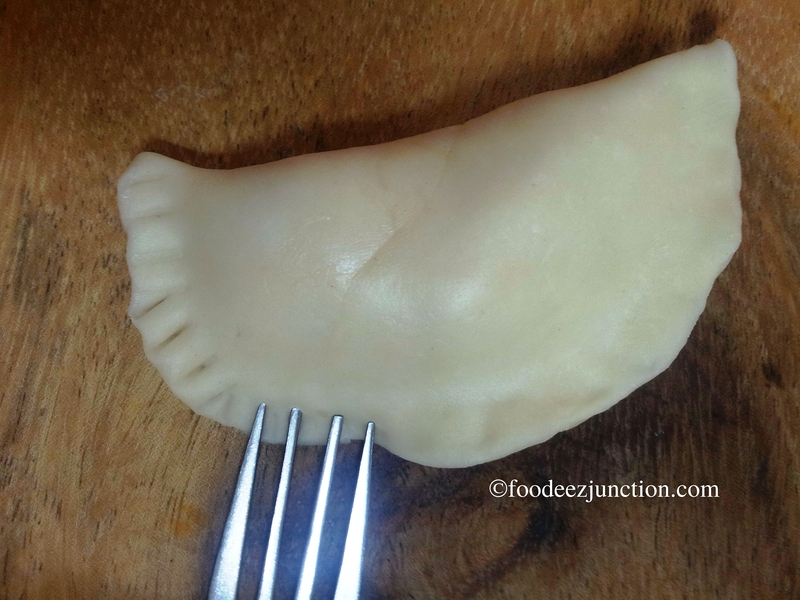 Here is the recipe for Gujia with a step by step guide. Make it with this Gujia recipe this Holi. 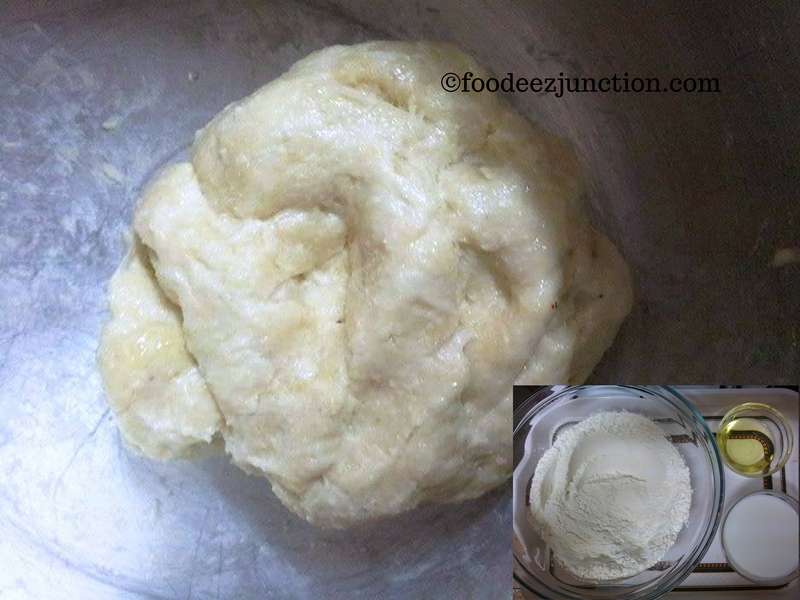 Knead a soft dough with maida (all-purpose flour), ghee and milk. You can take lukewarm water instead of milk. Once the dough for Gujia is kneaded cover it with wet muslin cloth and rest it for half an hour. Roast mawa in a wok till it turns golden brown. Stir it continuously, else it will stick to the base. Transfer the mawa in a bowl. In the same wok, where we had roasted mawa, add 2 ghee, heat it for 20 seconds and add semolina or suji. Roast for five minutes. Now put this roasted suji in the bowl of Mawa and mix it. 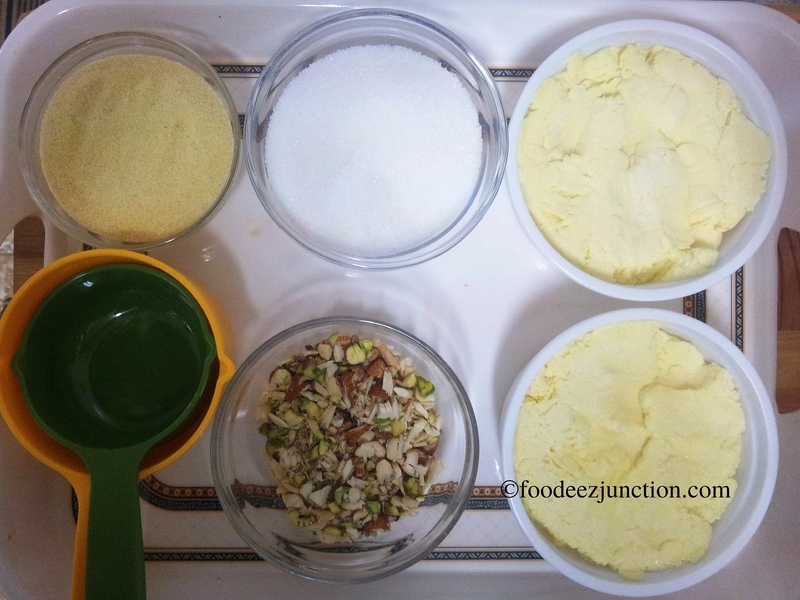 Add crushed coconut and chopped dry fruits to the bowl. You can take any other dry fruit too. Now add fine or powdered sugar. Mix well and let it cool. Now divide the dough in small equal balls. Roll each of them like chapati of small size. Cover them with muslin cloth. Take one chapati at a time. Put it in the Gujia mould; the chapati should be slightly bigger than the mould. If you don’t have a mould, fret not! Just make your palm like a hollow spoon, place the chapati, fill the kasaar in the centre half and close it. Follow the rest of the below steps. Fill the centre with Kasaar and close and press the mould. Repeat for all gujias. Now press the tip of the fork on the sides of each gujia to seal them. In a wok, add oil and heat it on high flame. Once the oil is hot enough, switch the flame to medium and deep fry the Gujias. Do not overcrowd the wok. Once they turn golden brown (not dark brown), take them out on a plate. Let them cool. 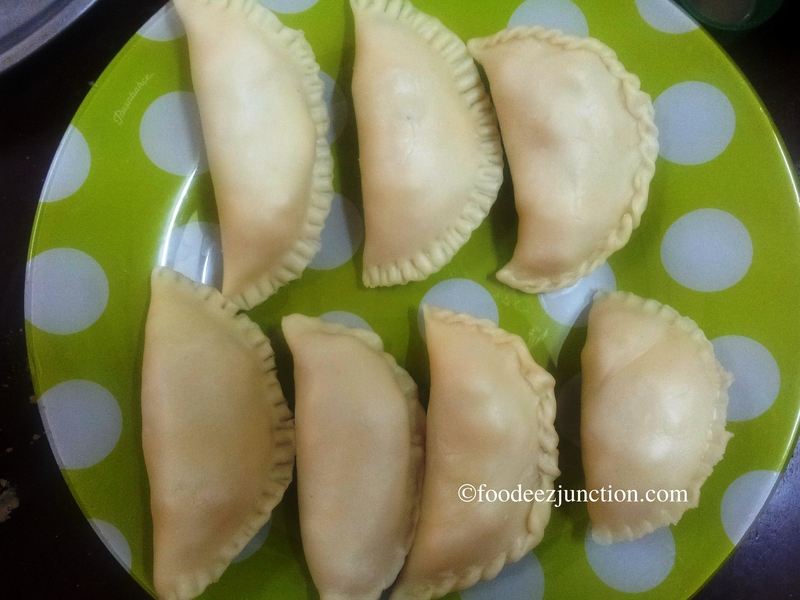 Now have these yummilicious Gujias. You can store them in an air-tight container and keep for 3-4 days. Enjoy the festival of colours with a variety of Gujia recipe. HAPPY HOLI! Wow wow. Just elated me to see something that is so close to every Indian. The festival of Holi as well as Gujia. Holi is indeed incomplete without this yummy sweet dish. I have definitely eaten this but never tried to make it on my own. Liked your recipe. Would try this at home. These look absolutely gorgeous morsels of sweet satisfaction! Happy Holi. Unfortunately I can’t tolerate any cow’s milk products – do you think these would work okay with a non-dairy substitute? Option 1: You can use semolina. Roast it with pure ghee and then instead of Khoya, use roasted semolina. Option 2: You can use dessicated coconut; I haven’t tried this one but heard from people around.